Avex Inc., a Japanese company, filed the mark to the JPO on February 24, 2017 over various kinds of goods/services in class 3,9,14,16,18,20,21,24,25,28,30,32,41,43 (14 classes in total). The JPO admitted registration on March 30, 2018. Apple Inc., an US multinational IT company, filed an opposition based on Article 4(1)(xi), (xv) and (xix) of the Trademark Law by asserting opposed mark is deemed similar to opponent famous trademark “Apple”, “Apple Pay” and “Apple Pencil”, likely to cause confusion with opponent’s business when used on designated goods and services. Besides, opposed mark was seemingly adopted with an intention to freeride good-will bestowed on opponent famous trademarks. Article 4(1)(xi) prohibits from registering a junior mark identical or similar to senior registered mark on identical or similar goods/service. Article 4(1)(xv) prohibits any junior mark likely to cause confusion with others. Article 4(1)(xix) prohibits a junior mark identical or similar to others’ famous mark with a malicious intention. The provisions are available as cause of claims underlying an opposition when registered in error. 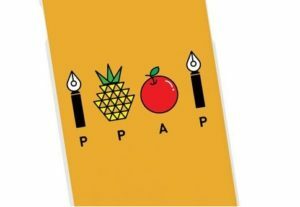 “Opposed mark, solely consisting of literal elements with same size and same font, gives rise to a pronunciation of ‘pen pineapple apple pen’ as a whole. 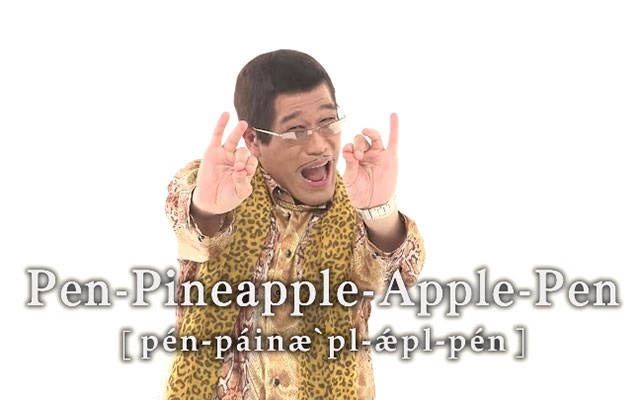 Regardless of slight verbosity, relevant consumers will surely connect the mark with viral hit song “Pen-Pineapple-Apple-Pen or PPAP” by PIKOTARO, internet sensation from Japan, which has become known among the general public remarkably. If so, opposed mark merely gives rise to a meaning of PIKOTARO’s song. Therefore, opposed mark shall be deemed dissimilar to opponent trademarks from visual, phonetic and conceptual points of view. The Board admits a high degree of reputation or popularity of “APPLE” as a source indicator of opponent’s business in connection with PC, its accessories, software and smartphones, however, provided that both marks are distinctively dissimilar and ‘APPLE’ is a dictionary word commonly known among relevant public to mean the round, red or yellow, edible fruit of a small tree, the Board considers it is unlikely that relevant consumers and traders would confuse or associate opposed mark with opponent’s mark “APPLE”. 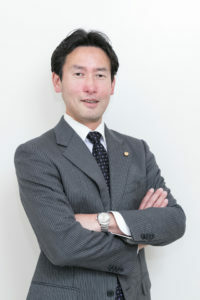 Posted on 2019年3月16日 by Masaki MIKAMI in Article 4(1)(xi), Article 4(1)(xix), Article 4(1)(xv), Composite mark, Famous mark, Likelihood of confusion, Opposition and tagged Apple, APPLE PAY, APPLE PENCIL, Article 4(1)(xi), Article 4(1)(xix), Article 4(1)(xv), Likelihood of confusion, Pen-Pineapple-Apple-Pen, PIKOTARO, PPAP, trademark opposition. In a decision to the invalidation trial claimed by LUIS POULSEN A/S, a Danish company, the Trial Board of Japan Patent Office (JPO) upheld the petition and invalidated TM registration no. 5643726 for a combination mark containing the pendant lamp shade design (see below) in violation of Article 4(1)(xix) of the Trademark Law. 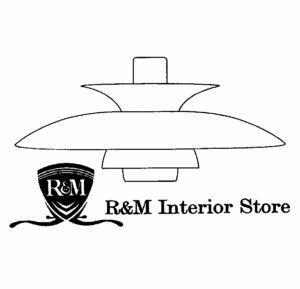 Disputed mark, consisting of a literal element “R&M Interior Store”, “R&M” logo in the shape of shield and the pendant lamp shade design (see below), was filed on June 14, 2013 by a Japanese business entity, designating wholesale or retail services for lighting apparatus and others in class 35. Going through substantive examination, the JPO admitted registration on January 17, 2014. Three years after the registration, LUIS POULSEN A/S filed an invalidation action against disputed mark on January 4, 2017. During the invalidation trial, LUIS POULSEN A/S argued disputed mark shall be invalidation based on Article 4(1)(xix) since the applicant filed the mark, confusingly similar to trademark registration no. 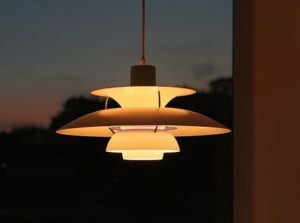 5825191 for 3D mark in the shape of unique pendant lamp shade (see below) well-known for “PH5” created by a Danish designer Poul Henningsen, with a malicious intention to damage claimant. According to supporting evidence produced to the trial, “PH5” lamp was originally designed in 1958. It has been promoted for sale in the marketplace of Japan since 1976. More than 500,000 lamps have been produced and sold around the globe. To bolster its reputation, LUIS POULSEN submitted a written declaration by Danish Ambassador to Japan. 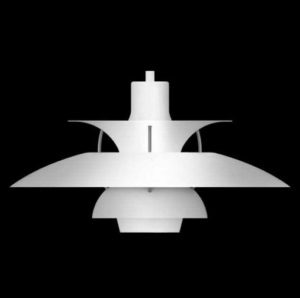 Besides, 3D shape of “PH5” lamp shade is successfully registered by finding acquired distinctiveness as a result of substantial use and uniqueness finally to serve as a source indicator (TM Registration no. 5825191). 3D shape of “PH5” lamp has become famous as a source indicator of LUIS POULSEN among relevant domestic consumers well before the filing date of disputed mark as a result of continuous marketing activities in Japan since 1976. In the assessment of trademark similarity, it is unquestionable that the pendant lamp shade design depicted in disputed mark closely resembles “PH5”. From overall appearance, relevant consumers and traders will conceive the portion of the pendant lamp shade design plays a dominant role in disputed mark. The fact that applicant promoted similar lamp shade as “reproduct” or “generic product” of “PH5” convinces us that applicant has been aware of prospective controversy and causing damage to business interest of LUIS POULSEN. Based on the above findings, the Board concluded that applicant filed a similar mark to “PH5” well-known for a pendant lamp shade of LUIS POULSEN with a malicious intention to gain unfair profits or cause damage to claimant. Thus, disputed mark shall be invalidated in violation of Article 4(1)(xix) of the Trademark Law. Posted on 2018年10月28日 by Masaki MIKAMI in Acquired distinctiveness, Article 4(1)(xix), Device mark, Famous mark, Figurative mark, Invalidation, Similarity of mark and tagged Article 4(1)(xix), Invalidation trial, LUIS POULSEN, PH5.